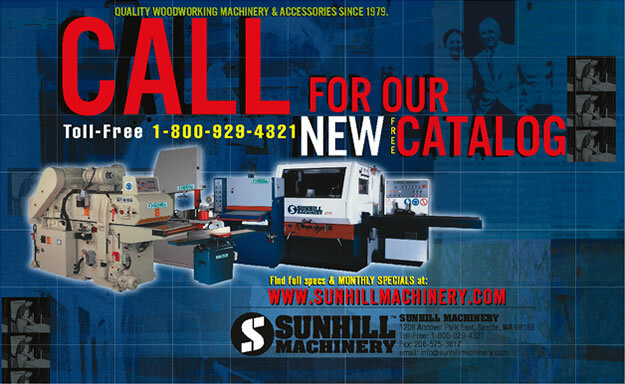 Logo and print advertising for woodworking machinery importer and mail order house. Sunhill Machinery was a truly unique company, perfectly poised to exert an unusual influence over their industry. Their owner designed many of the machines commonly used in cabinet shops all over the U.S., marketed under such revered trade names as Delta, Powermatic and Jet, yet few people outside the manufacturers knew of his contributions. We leveraged his experience and one-of-a-kind perspective to create unique advertising that helped quadruple the company’s sales in just three years.